Now that you have made copious amounts of yogurt, you need something fun to top it with. 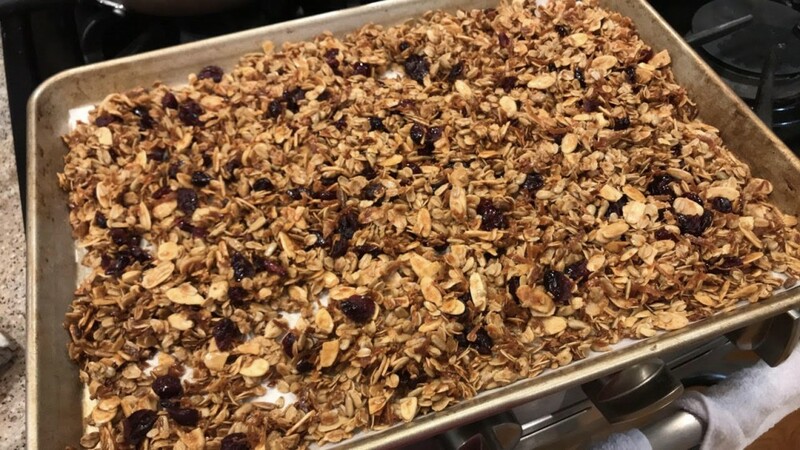 Enter in, homemade granola. It's unbelievably easy to make, and healthier and cheaper than what you would buy in the store. The best part of this recipe is that it is just a ratio recipe, which means you get the fun of deciding what delicious nuts, seeds, fruits or other add-ins and flavoring you want. This is the honey, almond, sunflower seed, coconut and dried cranberry version I made last night. I gave Steve a taste and he enjoyed it so much, he asked for more!